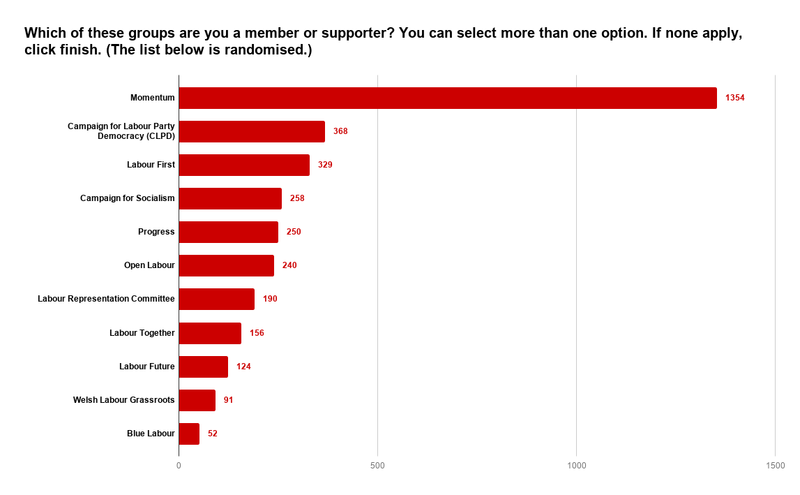 LabourList readers favour another referendum over other Brexit options in an ‘indicative votes’ scenario, our latest survey has found. Asked which route they would choose if they were a Labour MP who could participate in the likely upcoming series of ‘indicative votes’ in the Commons, 52% of 4,700 respondents opted for another referendum. Almost 42% chose Labour’s Brexit plan, involving customs union membership, while nearly 18% opted for the cross-party compromise Common Market 2.0, which would require single market membership. Just 4.8% would vote for ‘Theresa May’s deal with added protections for workers’ rights and environmental standards’, which Labour MPs including Gareth Snell and Lisa Nandy have in the past suggested they could have agreed to. The overwhelming majority of LabourList readers who took the survey said they thought John Bercow was a good Speaker of the House of Commons. Last year, Bercow faced calls to quit after a report found that there was a culture of “silence” around bullying in parliament and claims surfaced of the Speaker himself bullying staff members. But many Labour MPs defended Speaker Bercow, who denied the allegations, and grandee Margaret Beckett said it would be a mistake to replace him as dealing with Brexit “trumps bad behaviour”. 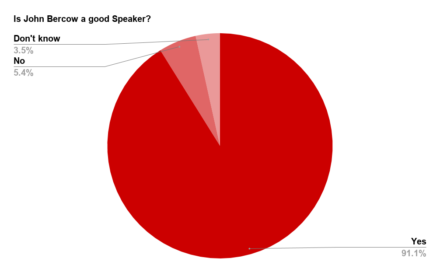 It would seem our readers agree: 91% (4,328 respondents) said he was a ‘good Speaker’ and just 5.4% said he wasn’t. Bercow has recently been at loggerheads with the government over Brexit, and particularly clashed with Commons leader Andrea Leadsom. Offering an idea of the political persuasions of LabourList readers, the survey found that almost 30% of 4,654 respondents were supporters or members of the Corbynite group Momentum. Excluding those respondents who didn’t choose any groups, 60.5% selected Momentum. The left-wing Campaign for Labour Party Democracy (CLPD) came next, supported by nearly 8%, followed closely by the Corbynsceptic organisation Labour First, which had the support of nearly 7%. The most factional groups – Momentum, CLPD, Labour First, CfS, Progress – were generally found to garner more support than policy-focussed lobby groups such as Labour Future and Blue Labour. 1. 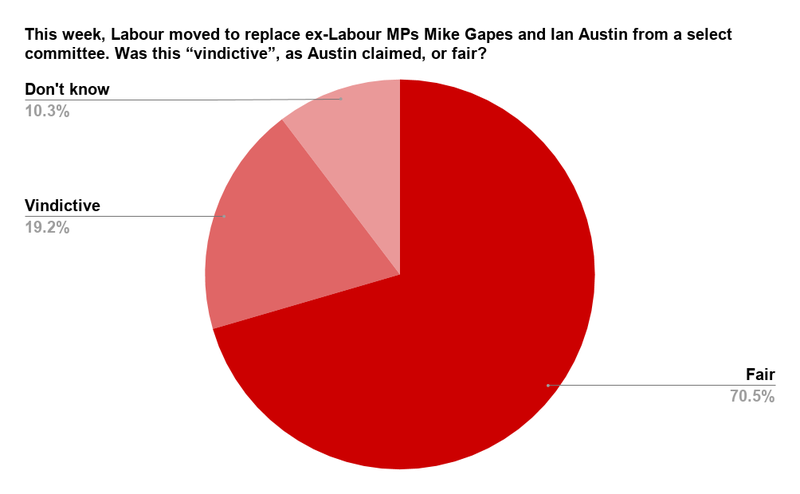 This week, Labour moved to replace ex-Labour MPs Mike Gapes and Ian Austin from a select committee. Was this “vindictive”, as Austin claimed, or fair? 2. Is John Bercow a good Speaker? 3. 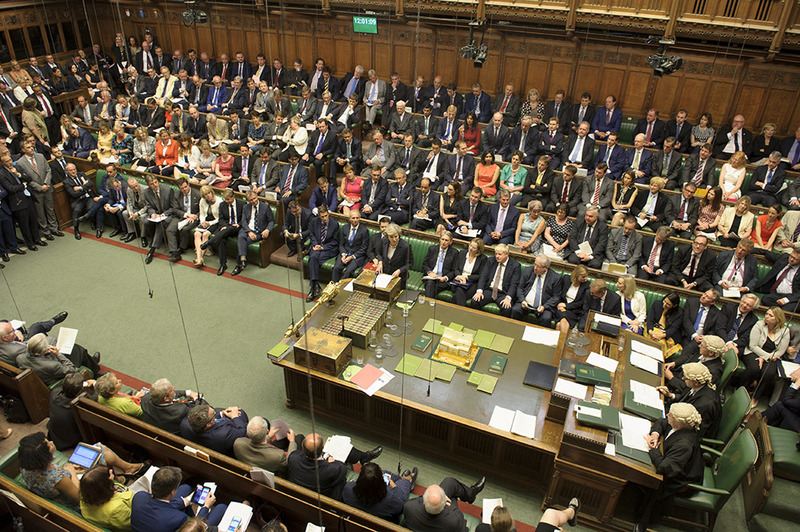 Some MPs are calling for ‘indicative votes’, which would allow them to express their views on various Brexit options without being whipped. If you were a Labour MP and could vote on the following options, which would you vote for? 4. Which of these groups are you a member or supporter? The survey was open from 9am on Friday 22nd March until 8pm on Sunday 24th March. Thank you to all 4,782 readers who took part.